For a few days now, there have been reports circulating on social media that a number of people who previously made purchases via the OnePlus website have subsequently found themselves on the receiving end of fraudulent transactions on their cards. 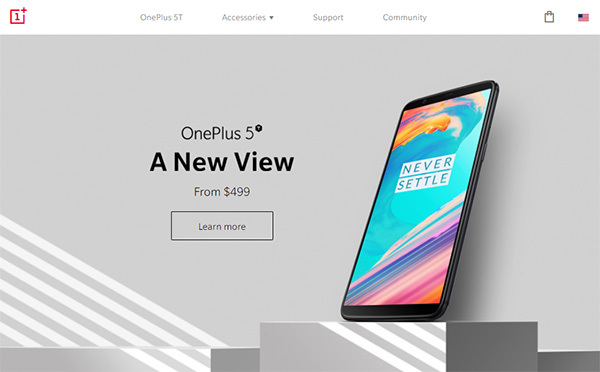 This has, unfortunately, now been confirmed by OnePlus as well, with the company emailing customers and releasing a statement confirming that anyone who has made a purchase via its website since November may be at risk. According to OnePlus, the issue came about thanks to code that was injected into its servers some time during November, allowing a third party to steal credit card numbers, expiry dates, and security codes – plenty of information to make fraudulent purchases. If you made a purchase via oneplus.net over the past three months, your card details were possibly compromised. If you paid via PayPal, however, you are safe and sound. OnePlus also points out that saved card details entered into the site before November are also not impacted by this issue. For now, PayPal is the only option available during checkout on the OnePlus website, and we expect that to remain the case for some time yet. If you did make a purchase from November onward, and used a card as the payment method, we suggest you cancel that card ASAP and check your statements for transactions that you do not recognize as legitimate. Below is the full OnePlus statement outlining what has happened, including confirmation that OnePlus is now carrying out a full security audit to ensure it can prevent similar incidents occurring in the future. We recommend that you check your bank statements and report any charges you don’t recognise to your bank. They will help you initiate a chargeback and prevent any financial loss. · For enquiries, please get in touch with our support team at support@oneplus.net. If you notice any potential system vulnerabilities, please report them to security@oneplus.net. This is a monitored inbox, but we may not be able to respond to all reports. We are in contact with potentially affected customers. We are working with our providers and local authorities to better address the incident. We are working with our current payment providers to implement a more secure credit card payment method, as well as conducting an in-depth security audit. All these measures will help us prevent such incidents from happening in the future. I always look to pay via PayPal, also every few months I request a credit card change to my bank. It cost around $5USD to do this.